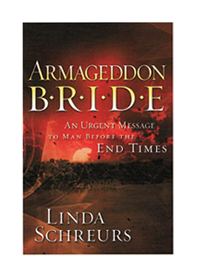 Over the past 15 years, Linda has written several books including Words Aptly Spoke, Armageddon Bride and Holy Communion, Holy Invasion as well as producing CDs. Books can be purchased for $15 each, two for $25 or three for $30. Linda’s love of the Word of God has brought her to frequent intercession through the sacrament of communion. Her insights and prayers will bring new revelation to the power of this special form of prayer focused on the sacrifice Jesus made for each of us. It’s no secret that the cultural issues being continually fought require a keen understanding of what the Lord says versus what the world says. 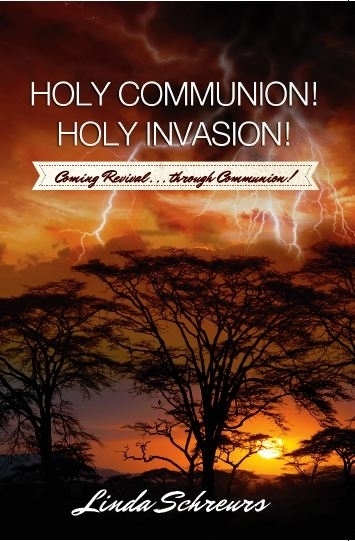 He is preparing the bride of Christ for the last days battles and victories we will experience. 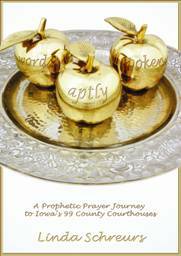 In 2005 and 06, Linda and her husband Mike embarked on a 6,600 mile journey crisscrossing Iowa to pray at each of the 99 counties and prophetically decree justice and righteousness to the judgments made in each of the county courthouses. Read and experience this journey along with them. Today, many intercessors use this book to pray and declare the Word of God into this state.